Home › Vote Osoyoos for BEST STREET in the "Great Places in Canada" Contest! Vote Osoyoos for BEST STREET in the "Great Places in Canada" Contest! 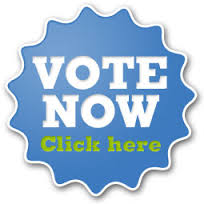 Click on the link below or the "Vote Now" button and nominate OSOYOOS! The Canadian Institute of Planners (CIP) is proud to present the 5th annual Great Places in Canada contest. Great Places in Canada was created to celebrate and share those places which make one’s community unique and to recognize the vital work of our country’s professional planners. Each nominated place is showcased on the 2015 Nominations page until November, 2015 when winners are announced. Tomorrow, you may come back and vote for your OSOYOOS again! You cannot vote for the same place more than once within the same day. Votes are tracked by IP address. If you are trying to vote in a shared server environment (ie. an office) you may be told that you’ve already voted. Therefore, someone else has already voted using that IP address. Using your mobile device or another personal computer will solve this issue.